To proclaim Jesus as Lord through teaching, preaching, and good works to those in prison in our community and around the world. Also, to promote unity and harmony to the body of Jesus Christ in the local community by providing opportunities of fellowship. BE BLESSED!! 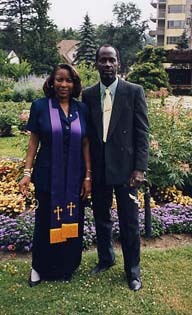 Reverend Valerie & the late Leroy Hibbert Sr.